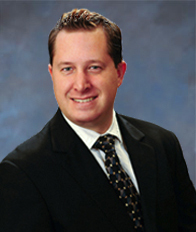 Jarad D. Beckman has been with Wolfe & Wyman since 2010. As part of the Labor and Employment group, he represents employers as litigation counsel in matters ranging from class action lawsuits, to sexual harassment, discrimination, and wage and hour claims. Jarad has extensive experience litigating in state and federal courts, as well as successfully mediating employment claims to reduce client uncertainty and liability. As part of the General Liability group, Jarad represents a wide range of clients through their insurer relationships, including construction contractors, commercial and residential premises owners and commercial trucking groups. As part of his practice, Jarad works to assess liability and damages in formulation of both traditional and novel approaches to matter resolution. Jarad also has extensive experience in litigating mortgage banking claims, including real property title disputes and loan purchasing and assignment claims. Jarad also defends clients in a variety of professional liability matters. Jarad is a member of the American Bar Association. Bowling, computer technology and spending time with his family.